I’m back with another free printable for Motivation Monday! This time it’s more simple than what I normally share but I really love this quote and love how it turned out! 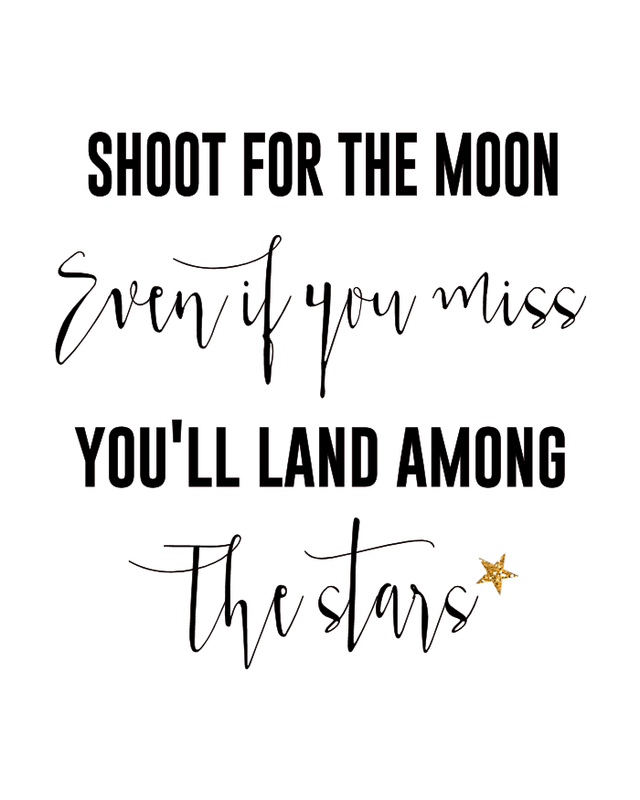 This Shoot for the Moon printable will go great in your home or office. Thank you so much for offering this print -- I love it! But I need your help. Clicking the download link results in a horizontal .png file that's only 700x450 pixels. Is this the right size for an 8"x10" frame?